Its a shop on Bahnhofstrasse in Zurich. This is the high-end fashion-watch-jewelry-banking core of Zurich. 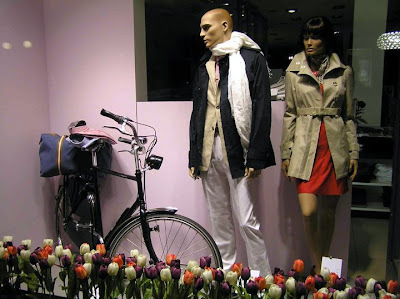 According to my brother, there is a recent trend for clothing stores to also sell Dutch-style bikes like this. I didn't get the name of the store but could ask my brother.